Do we root out nematodes? Tode-ally. Nematodes love root systems… and nobody loves that. These microscopic, wormlike parasites feed on root hairs, leaving plants sparse, damaged and dissipated. They’re invisible, invasive and impervious to many seed treatments. So how do you stop them? BioST® Nematicide from UAS. 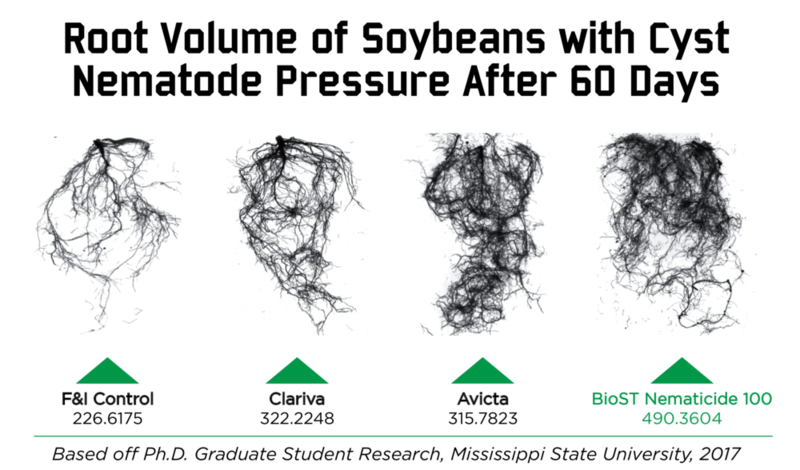 BioST Nematicide kills soybean cyst, root-knot and reniform nematodes, with multiple modes of action for incomparable defense. Cool beans, right? Lesion, spiral, stunt, dagger, lance, root-knot, sting, needle, and stubby root. They’re all nematodes. And when it comes to destroying them, it’s a can of corn for BioST Nematicide. BioST crushes nematodes… and competitors. Sure, all nematicides are intended to root out nematodes. 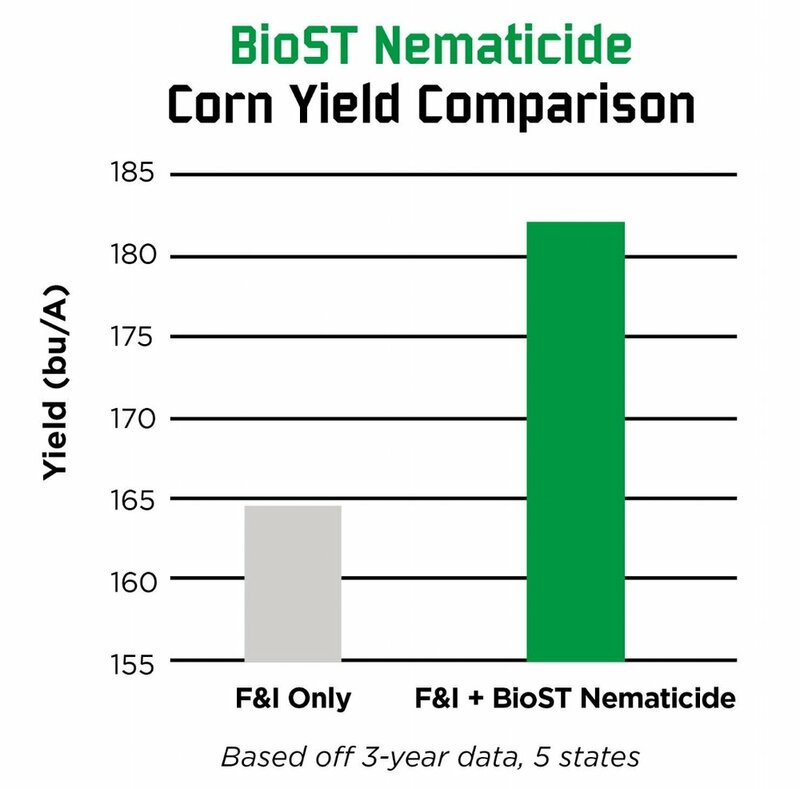 But compared to other nematicides, BioST is considerably superior. Need proof? Click below. Kill the bad bugs. Keep the good ones. Did you know some microorganisms can actually help your plants? They’re called inoculants, and they’re incredibly beneficial. Not sure if you need nematicide? Let’s talk it over. We’ll explain nematode warning signs to look out for, and help you devise a strategy to eliminate them.